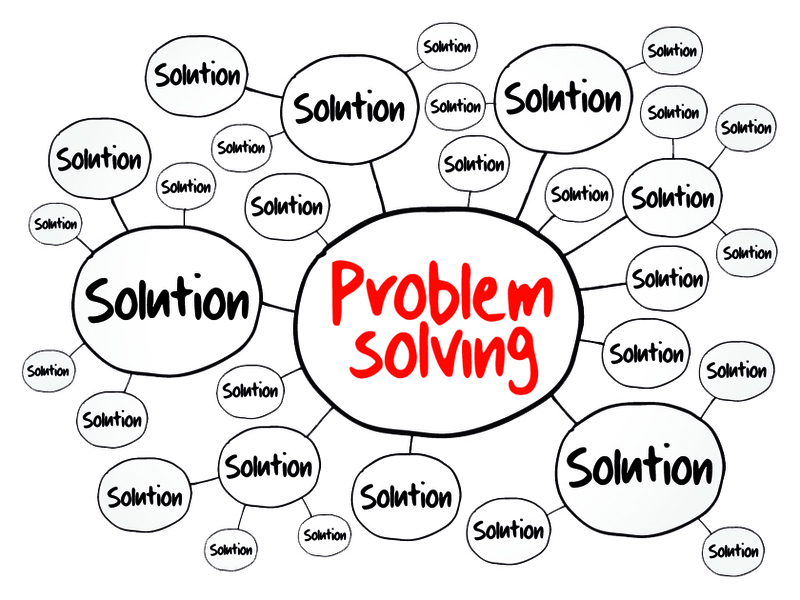 Effective problem solving skills enable employees to analyse problems, identify problem severity and assess the impact of alternative solutions. Management training designed to develop problem solving skills helps employees to work more efficiently with co-workers, customers, partners and suppliers. Much of what managers do is solving problems and making decisions. Decision-making is a key role of a manager and leader. Some managers find this to be one of the most difficult tasks to perform. They have a fear of failure, and procrastinate mainly because they have a lack of a structured approach. One of two things usually happens; they either put off making the decision in the hopes that someone else will resolve the issue, or even worse, make a decision using a knee jerk reaction. Businesses therefore fail because of poor problem solving, which is why the problem solving ability is a key skill that companies are looking for in the people they recruit or promote. Fortunately it is a skill that can be taught and GBS Corporate Training provide a range of courses to help you improve your skills, or even gain a qualification in it. Effective problem solving skills enables employees to analyse problems, identify problem severity and assess the impact of alternative solutions. Workplace training designed to develop problem solving skills helps employees to work more efficiently with co-workers, customers, partners and suppliers. Trained participants learn to use available resources to resolve issues in a constructive manner. Additionally, they practice reaching consensus by seeing a problem from a professional, not personal, perspective. What is the evidence that problem solving is critical to business futures? The shift to a more innovation-driven economy in the business world has been abrupt. The speed of change is driving the need for organisations to continually innovate, find new ways of working, new products, new solutions and move beyond problems to resolution quickly. Technology can make life easier, but it can also make things more complicated. With the advances in Artificial Intelligence, big data and analytics, computers can certainly help in analysing issues, however, it is still down to employees to ask the questions that computers still cannot grasp. In the current fast changing global economy, employers often identify common problem solving as crucial to the success of their organisations. For employees, problem solving can be used to develop practical and creative solutions and to show independence and initiative to employers. This means that the individuals within an organisation need to become more creative, innovative and less accepting of tried and tested methods. They have to be agile and resolve them before their competitors steal a march on their client base whilst the company tries to resolve its problems. Adobe conducted a new study to understand how educators and policymakers think about creative problem solving skills, how critical these skills are to future jobs, and how they are currently being nurtured in schools today. Three quarters of the educators surveyed said that students need to develop these skills to protect their futures, as the professions that require creative problem solving are less likely to be impacted by automation. Also, almost 90 percent of respondents believe students who excel at creative problem solving will have higher-earning job opportunities in the future, and 85 percent agreed that these same skills are in high demand by today’s employers for senior-level and higher-paying careers. The World Economic Forum (WEF) recently surveyed 350 executives across 9 industries in 15 of the world's biggest economies to generate their research report The Future of Jobs. The report's intention was to predict how technological advancement will transform labour markets. In other words, how will technology impact employers, and therefore what they'll want from employees. They found that the number one skill that employers will need in their employees in the future is the problem solving ability. The report shows that 36% of all jobs across all industries will require complex problem-solving abilities as a core skill by 2020. A new study by iCIMS found that recruiters place a higher value on soft skills. From an ability to communicate well to being organised, these intangible qualities can be tough to measure, but they affect everything from productivity to collaboration. The most important soft skill identified was the ability to solve problems, with 62% of recruiters seeking people who can find solutions. This soft skill was also found to be the most important for the employee who wants to work in management. So what exactly is problem solving in the business context? Problems are at the centre of what many people do at work every day. Whether you are solving a problem for a client (internal or external), supporting those who are solving problems, or discovering new problems to solve, the problems you face can be large or small, simple or complex, easy or difficult. Problem-solving is a critical skill to have if you’re going to be a leader, and you need people with good problem solving abilities for your teams to be high performing. New managers often try to solve problems and make decisions by reacting to them before they fully understand all of the possible factors. They feel that the quickness of a decision is more important than the long-term outcome. There are times when a quick decision is needed, however, most decisions are not needed immediately and you do in fact have the time to make the right decision. That is the key: making the right decision. Be careful to not let decisions accumulate, or else you will have a backlog of both small and complex decisions to make. You need to find the perfect balance of knowing when to make quick and easy decisions on the fly, and when to take time with the complex decisions. Often problems can and should be seen as opportunities. View problems as opportunities and mistakes as progress. This involves turning traditional thinking about problems upside down. With some creativity, problems can lead to opportunities; mistakes in problem solving can be progress toward achieving these opportunities. So what makes a good problem solver? An ability to adapt and move with changing technology, customer behaviour and the business landscape is essential to be able to recognise when your business needs to change and to react accordingly. To some, this comes naturally, but for others, it is a learning curve. A good problem solver has the ability to step back and think pragmatically and to avoid an emotional reaction to the issue. Being a confident problem solver is really important to your success. Much of that confidence comes from having a good process to use when approaching a problem. With one, you can solve problems quickly and effectively. Without one, your solutions may be ineffective, or you'll get stuck and do nothing, with sometimes painful consequences. When you help others overcome their problems by offering fast-track solutions your value as an expert automatically increases. It’s important to realise that being a problem solver isn’t just an ability; it’s a whole mind-set, one that drives people to bring out the best in themselves so be very clear on your direction. Creativity: Problems are usually solved either intuitively or systematically. Intuition is used when no new knowledge is needed - you know enough to be able to make a quick decision and solve the problem, or you use common sense or experience to solve the problem. More complex problems or problems that you have not experienced before will likely require a more systematic and logical approach to solve, and for these you will need to use creative thinking. Team Working: Many problems are best defined and solved with the input of other people. Emotional Intelligence: It is worth considering the impact that a problem and/or its solution has on you and other people. Emotional intelligence, the ability to recognise the emotions of yourself and others, will help guide you to an appropriate solution. Decision Making: Problem solving and decision making are closely related skills, and making a decision is an important part of the problem solving process as you will often be faced with various options and alternatives. Researching Skills: Defining and solving problems often requires you to do some research: this may be a simple Google search or a more rigorous research project. Risk Management: Solving a problem involves a certain amount of risk - this risk needs to be weighed up against not solving the problem. To be an effective problem-solver, you need to be systematic and logical at the same time. When you solve problems you help others make more effective decisions that can improve their personal or professional lives. And as you increase your problem-solving skills, you also increase your own confidence and value as an expert. How should I approach my Problem Solving? Problem-solving may seem straightforward at first glance, but there are many employees who stumble over one or more of the critical steps, failing to successfully resolve workplace issues. You can use many different approaches to problem-solving, but you'll typically work through four distinct stages no matter what route you take. Understanding each step of the process will help you hone your problem solving skills to better serve you along your journey toward a smart, workable solution. 1. Define the Problem: Identify the issue that you're dealing with. Observe the problem area closely to form a detailed image of what's wrong. Delve into and explore employee behaviour, workplace policies, and operating procedures. Keep your focus on the problem at this point, and resist the urge to define the problem in terms of a solution. 2. Brainstorm Alternatives: This is one of the most important stages of problem-solving. It requires a careful balance of creativity and logical thinking. Compare all possible alternatives. Calculate the cost, time, and resources necessary for each approach as well as the return that you can expect from various strategies. 3. Choose the Best Strategy: Strong decision-making is essential at this stage. After carefully considering all your options, you must select the best strategy for your problem and stick with your choice. Employees who waver or struggle to commit to a single plan don't make good problem solvers because they get stuck at this essential point in the process. 4. Implement Your Solution: Implementation is the critical peak of the problem-solving process. This is where you draw up an action plan, share it with the appropriate personnel, and follow through with your chosen approach. As you explore potential solutions to the issue, you must demonstrate persistence. Finding the right approach to the issue won't come easily. Innovative thinking will serve you well. Implementing your solution requires a careful balance of teamwork and leadership. You'll need to demonstrate resilience to withstand inevitable pushback from co-workers who resist change. Problem-solving skills are important in every industry. There's no business that's immune to the regular onslaught of problems. Using established tools and techniques will help you improve your approach to solving problems that you, your team and your organisation face. You will become more successful at solving problems and therefore more successful at what you do. What’s more – you will be able to build a reputation as someone who can handle tough situations, in a wise and positive way. GBS Corporate Training offer a range of courses which help you make problem solving one your core and essential skills. You will learn a systematic process for problem solving; understanding and resolving them. The tools introduced will help you to problem solve much more effectively. Our Creativity, Innovation and Problem Solving Course is a highly practical and experiential course and has been designed for anyone in a managerial role and for teams that need to resolve problems or find new and better ways of achieving their goals. You can work with GBS to learn the 8 Disciplines of Problem Solving (8D). On this course, you will learn skills to help you gain a clear understanding of the problem faced, and the most appropriate problem solving methodology to follow. There are a variety of problem solving methods used throughout business today, most of which use a team based approach. However to gain their maximum potential the selected approach needs to be correctly applied and managed. Quite often teams will be tasked to resolve a particular problem only to have the project stall or take longer than anticipated. On our PT205 – Managing Problem Solving course, you will learn the skills such as understanding team roles, team dynamics, engagement methods and facilitation skills needed to effectively solve problems. This course provides an excellent foundation in the methodologies and tools commonly used in problem solving activities today. Completion of two of our Practitioner level courses) including PT205 – Managing Problem Solving course, together with demonstrable work experience, can lead to the gold standard Chartered Quality Professional (CQP) status, which is recognised alongside other roles with Chartered status. So, not only can you learn about problem solving, but GBS offers you a route to a qualification in the field, making you an even more valuable asset to your organisation.